Hello people of the internet!!! On today’s ‘Monday Memos’ I am very excited to bring you an interview I recently did with Eric Stuart. If you don’t already know, Eric is a voice actor, voice director, and musician who has entertained us for years. He has had prominent roles in cartoons and anime such as: ‘Pokémon’, ‘Yu-Gi-Oh!’, ‘One Piece’, ‘Slayers’, ‘Viva Pinata’, and so many more. Eric is also an extremely talented singer/songwriter who has released 9 albums with The Eric Stuart Band. In this interview Eric and I discuss the voice acting industry, which characters are the most memorable to him, what he wished he had known before getting into the entertainment industry, and so much more! So if you are a fan of great show/music then please read on. Ready? Ok, let’s go!!! Celinda: So how did you first get into the entertainment industry? Eric: I’d always been a musician and I loved performing, but I never did much theater or acting. When I got out of school I really wanted to pursue music. I was offered a job at a recording studio, which I thought worked on music stuff, but it turned out that they produced radio and TV commercials, voice-overs specifically. So I was introduced to that whole other world, and I ended up working at that studio for 10 years, and then I ran that studio for a little bit. During that time I learned all about voice-overs, I ended up being a casting director and producer, and I started doing some of the voices myself during casting sessions when I had a two character spot and one of the guys didn’t show up. So I would read with one of the women that were waiting to read with a partner and the clients would end up picking me after hearing the tape. So it started to make sense to me that maybe using my voice as a voice actor would allow me the anonymity to continue pursing my music career and be taken seriously as a musician, while still using the same instrument I use a singer to make a living as an actor. So I kind of stumbled into the entertainment world especially with the voice acting side. Celinda: Wow that’s a really interesting story, so you basically began on the other side of the acting industry. Eric: Right, I think we learn a lot by watching. I also used to play tennis and I was a good tennis player, but I could watch somebody’s form and explain to them what they were doing wrong, and make them a better tennis player than I was. I think you learn a lot from listening and watching, which made it easier for me when I stood behind the mic, because I knew what it took to produce and assemble the commercials. Celinda: So, what’s one thing you wish you had known about the entertainment industry, whether it be acting, music, or both, before entering it? Eric: The biggest lesson I learned later, which could have been helpful earlier, is that the decision making really isn’t personal. You may do an audition and really feel like you nailed it, and then you don’t get the job. As an actor or a musician when you submit yourself and put yourself on the line, you need to really be able to let it go and move on to the next thing. After a few years of working in the business I would almost forget what I had auditioned for, because if you start adding up all of that income that you could have made from that day of auditions and then you don’t get it, you could be devastated by it. So being able to not take it so seriously and put that pressure on yourself everytime you get up to bat for a job is something that I wish I had known going in because it would have saved me a little bit of that disappointment and frustration. Because then it’s like a pleasant surprise when you do get the job. Celinda: That’s a really interesting answer I’ve never gotten that one before, but I think that’s really true. You’ve done a lot of voice over roles in both anime and western cartoons, which role was the most memorable to you and why? Eric: Well Brock and James from Pokémon are very much apart of my personality. I was playing a show at a venue and the person running the event told me about an hour after meeting me “You probably hear this a lot, but I’m a huge fan of yours I actually grew up watching you”, and I said “No, I’m very flattered”, because it’s kind of an honor to be apart of a pop culture phenomenon that kids who are 6 years old, and grandparents who are 60 years old know the word Pokémon. To be part of a show like that is a big deal and I’m honored to be apart of that. So Brock and James stand out because I like comedy, specifically comedic bad guys. James to me is so much fun to play because Team Rocket is not truly evil just a little misguided, and we still root for them even though we know their the “bad guys”. I also have to say that Kaiba from Yu-Gi-Oh is one of my favorites because there’s a big challenge in playing a character that many people dislike but he is also not really a villain, he’s a rival. I approached that idea with you can’t be the champ if there’s no one around to push you to be the best you can be. So without Kaiba, Yugi would just sit around and probably watch movies on Netflix. Celinda: Very true, those characters are some of my favorites as well and definitely hold a special place in the hearts of fan everywhere. Eric: I think that one of the reasons why Pokémon caught on so well is that there are characters, stories, friendships, and morals that people can relate to. More often than not people tell me “When I was in school I didn’t have any friends, and I’d come home or watch on Saturday morning and I felt like those were my friends”. It’s because these were people that everyone could connect to whether you liked Ash, Brock, or James, there was someone redeeming on the show. With Team Rocket you also see the relationship and friendship that they have with each other, and how they protect each other so that’s very redeeming as well. Celinda: Elaborating on the legacy of both ‘Pokemon’ and ‘Yu-Gi-Oh!’ among their respective fans, what is it like knowing that the characters that you helped create on these shows are still so popular so many years later, and how do you feel about Kaiba’s prominent role in the new ‘Yu-Gi-Oh! The Dark Side of Dimensions’ movie? Eric: Well I gotta say that I was very excited when I saw the Japanese promo, and of course the minute that came out, a lot of my fans wrote to me and asked if I would be in it. I would love to be in it, we don’t know nay of the details yet, that’s something that we have to wait for everyone on the production side to decide what their doing. I would love to come back and play Kaiba. I’ve made appearances at the Yu-Gi-Oh tournaments around the country as Kaiba, so I know Konami considers me Seto Kaiba but there are no guarantees. Hopefully I get the opportunity to play that role and if they go another way I’ll be disappointed, but that’s part of the letting go thing. It’s exciting to know that that story arc is the most popular among the Yu-Gi-Oh fans, so its’ nice to see that the creators and the people who are behind all of this recognize that as well. It will be interesting too, because it seems like the characters are a little bit older, so it would be great to do that. Celinda: Yes, and Kaiba was definitely another non-villainous villain that was interesting because his backstory was so complex. Eric: There’s definitely two schools of thought with Kaiba. I have fans who love to hate him, and I have fans who want to be just like him. I think when you dig deeper into his story you see where he’s coming from. Also I think when you see the Egyptian story arc and you realize that Kaiba was really Yugi’s sparring partner, that also shows that he’s there to push Yugi to be the best. I use the Rocky and Apollo Creed reference from the Rocky movies, because he needed someone like Apollo to push him, but also to be his friend. I think Yugi and Kaiba have a mutual respect for each other, I wouldn’t call then best friends, but I think that if they had a common enemy they would work together, as they’ve done. I think Yugi is a lot more of a pure hearted character than Kaiba is, but I think that Kaiba would still throw himself in front of the train tracks to save Yugi, unless he had to save Mokuba instead. Celinda: So moving on I know that on shows such as a Pokemon and Yugioh you not only did voice over work, but you also directed, what was that process like for you? Eric: It’s funny because it’s great to get the notoriety and the fun of acting as he characters, but what’s really very satisfying is when you’re the director you’re basically the cook, you’re baking the cake, you’re putting each piece together and creating the show. It was also a way for me to become friendly with the other actors on the show. Most of the time we recorded by ourselves so one person would walk in the room while the other was leaving, but I got to direct them so I got to spend hours and hours with them, and develop those friendships. It’s interesting the production side has always been satisfying for me, I like to be in the spotlight obviously I’m a performer and I enjoy that, but it’s also great to be able to take these pieces and turn them into hopefully a masterpiece. Another show that I directed that I’m very proud of was ‘Viva Pinata’ which was a very funny show. Unlike ‘Yu-Gi-Oh!’ and Pokémon where we had to match existing animation and match lip flap which requires 50% acting and 50% technical skills, ‘Viva Pinata’ is a pre-lay show which means that we record the voices first, and then I would assemble the passing of the dialogue line by line and then send that to the animators to animate, so I was really creating the timing of the jokes. So that was really very satisfying. There’s a lot of fun to being on that side of the glass which a lot of people don’t really know unless you’ve been in production. Because you don’t know what goes into the making of these shows sometimes, so it can be very satisfying seeing it on air or on the big screen knowing the hours and days you put into creating that show. Celinda: It sounds like such a meticulous process, but the effort definitely shines through. I really love the musical numbers that you did for Pokémon as Team Rocket and Brock, ‘Two Perfect Girls’ from the ‘Totally Pokémon’ soundtrack has always been a personal favorite of mine. How does singing on a soundtrack as these characters differ from performing your own music in terms of difficulty? Eric: Well one of the things that I had to make sure, especially with ‘Two Perfect Girls’ was that I couldn’t sing to well. I couldn’t be this great singer and then be the funny Brock on the show. I had to really focus on being a little bit pitchy, and quirky and funny rather than singing every note right. Whereas when I did ‘Double Trouble’ [which is off of the ‘Pokémon: 2 B.A. Master’ soundtrack] with James I wanted to be a better singer because I thought there’s something in James’s voice that made me think that he could be a better singer. The hardest thing about singing in the episodes is that we would rescore a lot of the music so when we would write a song sometime the lip flap wouldn’t move in time with the music so I had to sing slightly out of rhythm with that song. That was really hard to do because I play I’m rhythmic, I almost had to keep the music really low in my headphones so I wouldn’t lock in. Celinda: So switching gears, lets discuss your own music, which artists have influenced your sound the most? Eric: When I was a young man my mother gave me a radio that only got a local AM station that played oldies, so I grew up going to sleep listening to the oldies like Elvis Presley, Buddy Holly, and The Everly Brothers while my friends were listening to more mainstream Rock n’ Roll. So when I started to sing, I could sing like Buddy Holly so he was a huge influence in the beginning. As I got a little older so many people were comparing me to Cat Stevens, and once I started playing with a band it was the whole Bruce Springsteen thing, I sang along with people I could sound like, so I think my list goes Buddy Holly, Elvis Presley, Cat Stevens, and then Bruce Springsteen. Celinda: I can definitely hear those influences in your music, so are there any artists who have influenced your music that may surprise your fans? Eric: Yeah, I’m a songwriter so I listen to a lot of music just based off of the song, which can be in any style of music. I’m primarily drawn to a good lyric I listen to a lot of more folk rock guys, but people like Elvis Costello are a huge influence for me in terms of songwriting, as a lyricist I just think he’s a genius. It’s funny a fan asked me the other day what my favorite Rock n’ Roll band is and they were surprised to when I said AC/DC, I probably play AC/DC more than any band when I’m getting psyched up. Which is surprising because they say, “I don’t hear any AC/DC in hat you do”, and I say “Of course not, but that doesn’t meant that they can’t be a favorite band of mine”. I also like beautiful melodic instrumental stuff, to sort of clear my brain. Sometimes you want to out on music that has nothing to do with what you do so that you’re not analyzing it, you’re just enjoying it. My playlists would surprise you because I like old disco stuff too, and old R&B and old Hip-Hop because I like to dance even though I don’t play that stuff. Celinda: So, I’ve really enjoyed your latest EP Character, honestly I’ve had it on repeat for the longest time, what inspired the EP’s name? Eric: Well the art was the reason. I went to a convention and one of the staff members had drawn individual badges for all of the VIP guests as caricatures of the actors, and I really liked the style of the picture. As we were putting the EP together I was thinking I play characters, I am a character, and your character is your honor, so I thought that this word means so many things, it kind of fits with who I am. Celinda: So what was your songwriting process like for ‘Character’? Eric: Well we had been playing the song ‘One Last Dance’, which was something that I really liked but wasn’t on any album yet, and the fans kept asking when I was going to record that one. So the idea was to go into the studio and record a single, but of course when you do that and put that much pressure on one song, you might go in and the magic might not be there. So I thought let’s go in and do four songs so if it comes out great, then it comes out great, if not maybe the other songs are better. So with that I decided to sit down and start writing so that I really liked the four songs that we were going to do. The way that I write songs is I sit down with the guitar and come up with a chord progression and I sign nonsense words and find melodies. Then sometimes words form in what I’m singing just by the shapes of the vowels and continuants and the syncopation. Also I write what I know whether everything is autobiographical or not, I think why people gravitate towards what I do is because I sing about stuff from the heart that I’ve either experienced or witnessed. Celinda: Wow that’s such an interesting process, so what effect has living in cities with such famous yet unique music scenes such as New York and Nashville had on your music? Eric: Well when I lived in New York and I played around town I was sort of two Country for a lot of the rock clubs, which is funny to me because I’m so not Country. When I would come down to Nashville before I moved here, I was told that I was too Rock for the Country places, so I sort of fell in between these two cities. I will say that in New York my songs were longer, then when I came down to Nashville, I realized that the songs were shorter and followed more of a formula. So what was great is that I took the stuff from the Rock n’ Roll stuff I had been doing, and the stuff form the Country stuff I started doing, and found a happy medium. If anything coming to Nashville ahs helped me tighten up my songwriting to be able to say more with less, and in New York I got away with saying more with more. Celinda: Lastly are there any upcoming projects that your fans should look out for? Eric: Well I’ve been doing a lot of audio books, if you go to audible.com I mostly work for one particular writer named J.R. Rain, who’s got a great sense of humor, thriller, horror, sarcasm thing going on in most of the books he writes. I just finished up a book that I’m editing right now which is called ‘Ghost Crypt’, which is part of a series that he does, it’s a ghost story that takes place in the tubes of London which is fun. I do a lot of industrial and corporate stuff, I’m also doing a lot of international promos for American sitcoms that air in India. There might be some cartoon stuff coming down the line so people should definitely keep their eyes open for that. As I said there are things that I can’t really discuss whether their going to happen or not, but I would keep my eyes watching some of the stuff that you might be hoping to see me in. Celinda: Is there anything that you would like to say to any of your fans who are reading this interview? Eric: My anime fans have been very loyal to everything that I’ve done in the voice-over world which is great, and they’ve actually crossed over to be music fans, which is also great. The thing that I want to say to them is thank you for the support, and those who haven’t really experienced the other side of who I am with the music, I ask them to go check that out. Celinda: Thank you for taking the time to speak with me today Eric. Eric: Thank you for asking me. All photos and information used in this blog belong to Eric Stuart, Eric Stuart Band, Pokémon, Yu-Gi-Oh!, One Piece, Slayers, Viva Pinata, Satoshi Tajiri, Ken Sugimori, Game Freak, Koch Records, John Loeffler, Rachael Lillis, Adam Blaustein, Ted Lewis, Louis Cortelezzi, Bob Mayo, Pokemon 2.B.A Master, Totally Pokemon, Yu-Gi-Oh! Kazuki Takahashi, Shueisha Inc., Viz Media, Hiroyuki Toshiki Inoue, BMF, Toei Animation, 4Kids Entertainment, 4K Media Inc., Takashi Watanabe, Takao Koyama, E.G Films, J.C. Staff Co., Ltd., Funimation, TV Tokyo, Konosuke Uda, Junji Shimizu, Muehisa Sakai, Hiroaki Miyamoto, Toshinori Fukazawa, Junki Takegami, Hirohiko Uesaka, Toei Animation, FOX, Rare, Krome Studios, Climax Group, THQ, Microsoft Game Studios, Netflix, Yu-Gi-Oh! The Dark Side of Dimensions, Studio Gallop, Nihon Ad Systems, Satoshi Kuwabara, Konami, Rocky, Apollo Creed, Sylvester Stallone, John G. Avildsen, Irwin Winkler, Robert Chartoff, United Artists, Carl Weathers, Cat Stevens, Bruce Springsteen, Elvis Presley, Buddy Holly, The Everly Brothers, AC/DC, Deram Records, Island Records, A&M Records, Mountain of Light, Jamal , YA, Atlantic Records, Legacy Recordings, Columbia Records, Sun Records, RCA (Victor) Records, HMV, Decca Records, Brunswick Records, Coral Records, Cadence Records, London Records, Warner Bros. Records, Razor & Tie, Mercury Records, Albert Productions, EMInR cords, Columbia Records, Epic Records, Atlantic Records, Atco Records, Elektra Records, East West Records, Audible, J.R. Rain, Ghost Crypt, Nasville, New York, One Last Dance, Character, London, India, ericstuart.com, YouTube, Twitter, Favebook, iTunes, and all other original owners. I do not own anything in this blog. If any people, corporations, businesses, companies, etc, were not previously given credit for their work, they are given credit now and their previous absence was unintentional. All opinions expressed in this blog are my own. I wrote this blog for entertainment purposes and no copyright infringement is intended. 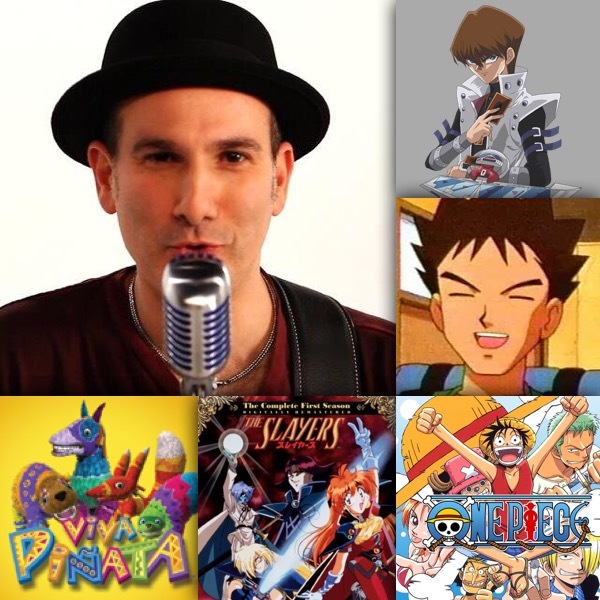 celindareyesblog November 24, 2015 No Comments on Monday Memos: Interview with voice actor/musician Eric Stuart. Category: Interviews, Monday Memos. Tagged: 4K Media Inc., 4Kids Entertainment, 90skid, A&M Records, AC/DC, acting, Adam Blaustein, Albert Productions, anime, Apollo Creed, Atco Records, atlantic records, Audible, BMF, Bob Mayo, Bruce Springsteen, Brunswick Records, Buddy Holly, Cadence Records, Carl Weathers, cartoons, Cat Stevens, Character, Climax Group, Columbia Records, Coral Records, country, Decca Records, Deram Records, E.G Films, East West Records, Elektra Records, elvis presley, EMInR cords, Epic Records, Eric Stuart, Eric Stuart Band, ericstuart.com, Favebook, fox, Funimation, Game Freak, Ghost Crypt, Hiroaki Miyamoto, Hirohiko Uesaka, Hiroyuki Toshiki Inoue, HMV, India, Irwin Winkler, Island Records, itunes, J.C. Staff Co., J.R. Rain, Jamal, John G. Avildsen, John Loeffler, Junji Shimizu, Junki Takegami, Ken Sugimori, Koch Records, Konami, Konosuke Uda, Krome Studios, Legacy Recordings, London, London Records, Louis Cortelezzi, LTD., Mercury Records, Microsoft Game Studios, Mountain of Light, Muehisa Sakai, music, Nasville, netflix, new, new york, Nihon Ad Systems, nostalgia, One Last Dance, One Piece, Pokémon, Pokemon 2.B.A Master, pop, Rachael Lillis, Rare, Razor & Tie, RCA (Victor) Records, Robert Chartoff, rock, Rocky, Satoshi Kuwabara, Satoshi Tajiri, Shueisha Inc., Slayers, Studio Gallop, Sun Records, Sylvester Stallone, Takao Koyama, Takashi Watanabe, Ted Lewis, The Everly Brothers, THQ, Toei Animation, Toshinori Fukazawa, Totally Pokemon, TV Tokyo, twitter, United Artists, Viva Pinata, Viz Media, Warner Bros. Records, YA, youtube, Yu-Gi-Oh!, Yu-Gi-Oh! Kazuki Takahashi, Yu-Gi-Oh! The Dark Side of Dimensions.